The flat's location is fantastic . . . two minutes from Grande Place. It is large, plenty of room for the three of us. Excellent wifi, and the kitchen was well-equipped. Stayed in apt #2. 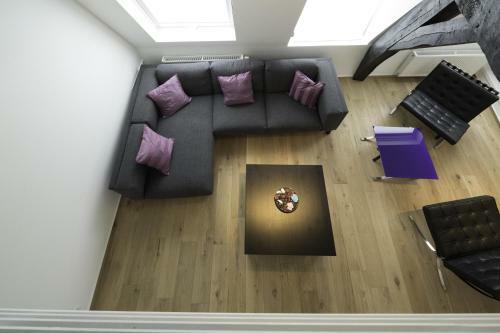 Great location right next to Grand Place and walking distance to Centraal Station. The apartment was comfortable and spacious. Even with the bars/restaurants outside the apartment, it was very quiet inside. Steps away from the Grand Place, clean and spacious! Good amenities. I requested a receipt from the host and he was obliging and responded within two days. Reliable host and facility. It was easy to get back to after my business meetings and my stay was comfortable for business travel. How close to the Grand Place and various restaurants it was. This was perhaps the best apartment we ever rented, very spacious and modern with a wonderful bathroom and washer/dryer. We even cooked one dinner. The location was amazing—one block from Grand Place. A very nice grocery nearby had wonderful wines and breads. We walked everywhere with no problems. Highly recommend this apartment. The apartment was beautiful and had an excellent location. 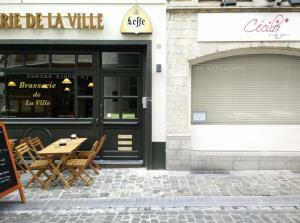 The location was fantastic - steps away from the Grand Place! 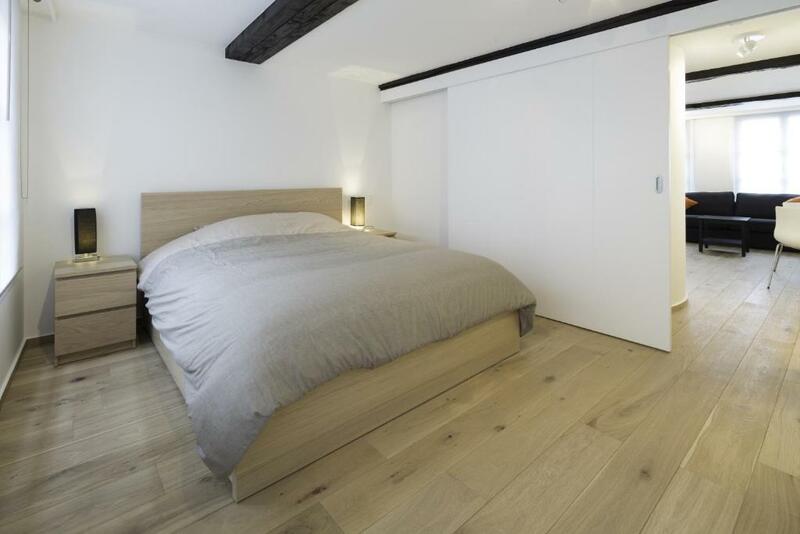 Lock in a great price for Apartments Chapeliers / Grand-Place – rated 9 by recent guests! One of our best sellers in Brussels! 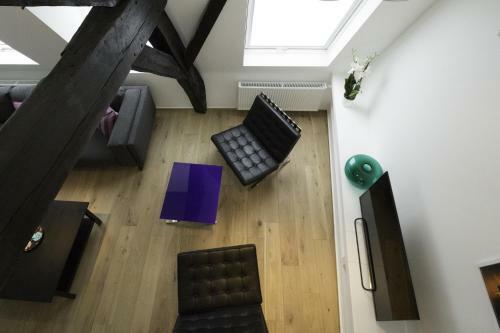 Offering a view of the Grand Place in Brussels, Apartments Chapeliers / Grand-Place is a self-catering accommodations housed in a fully-refurbished building. Free WiFi access is available. 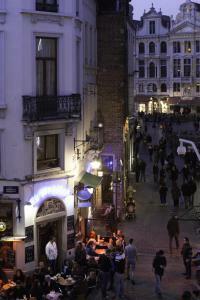 The property is 350 feet from Brussels City Hall and 650 feet from Manneken Pis. The apartment will provide you with a seating area. There is a full kitchen with a dishwasher and a microwave. Featuring a shower, the bathroom also comes with a hairdryer and bathrobes. Apartments Chapeliers is set in a very lively neighborhood, full of restaurants, bars and shops. If you feel like visiting the surroundings, check out the museums at Mont des Arts, 1,650 feet from the property. Brussels Airport is located 6.8 mi away. When would you like to stay at Apartments Chapeliers / Grand-Place? 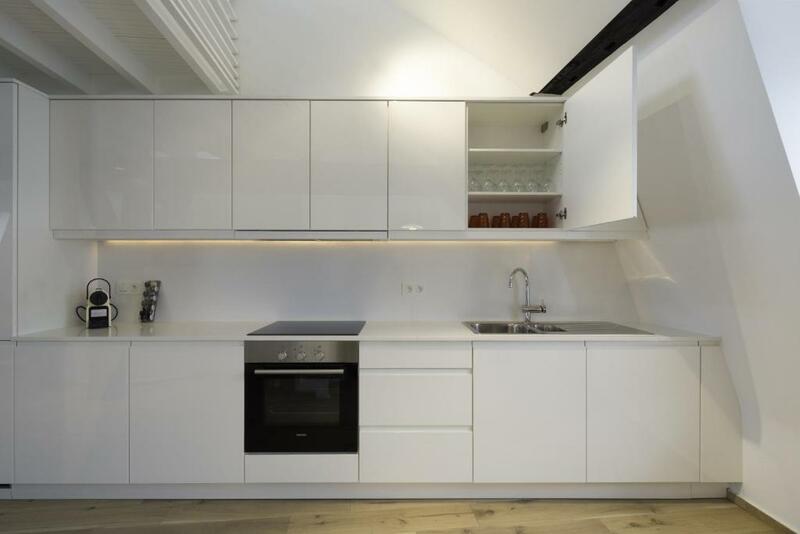 This apartment features a oven, soundproofing and microwave. This apartment features a bathrobe, dining area and seating area. House Rules Apartments Chapeliers / Grand-Place takes special requests – add in the next step! Apartments Chapeliers &#47; Grand-Place accepts these cards and reserves the right to temporarily hold an amount prior to arrival. Apartments Chapeliers / Grand-Place accepts these cards and reserves the right to temporarily hold an amount prior to arrival. Please inform Apartments Chapeliers / Grand-Place of your expected arrival time in advance. You can use the Special Requests box when booking, or contact the property directly using the contact details in your confirmation. Overall an excellent apartment. Would like to make an offer to buy! The clothes washing machine was broken (it will not spin), and our email notifying the host of its malfunction went unanswered. Also, we were able to get heat only from the unit located in the master bedroom. Our adjustments of the thermostat in the living room didn't seem to work. Lovely big apartment. Well laid out. Good facilities. Right in the centre of town. Steep spiral staircase to get to the apartment (didn't bother us, but could be an issue for others). There is privacy glass between the shower and bedroom, so the bathroom light may disturb light sleepers if someone's in there. Washing machine wasn’t working. Only 1 toilet and shower was in the utility. However, these were still clean and worked perfectly. Could have just had another toilet. On arrival tel Number displayed in the door window. Someone responded quickly. Lovely and clean. Lots of space. Comfortable beds. Lots of crockery and utensils in the kitchen. Great location just behind the Grand Place. The only thing we did not like very much were the beds, the mattresses were too soft for us. But that was not a big trouble at all. 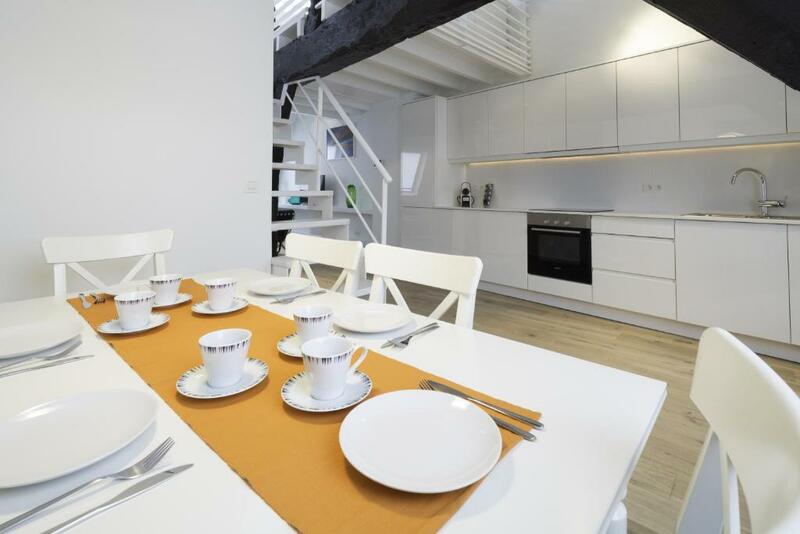 The apartment is spacious and very well located, very close to the Gran Place, bars and restaurants. The check in and checkout was very simple, I received instructions on my cell phone on how to proceed and everything went smoothly. The kitchen is great and complete. Tried both the telephone numbers at the door to call somebody to let me get in. No response. Finally I was lucky a family was leaving the facility and they showed me were to go for the keys. Not marked well where to get the keys. Have not received an invoice yet. Sent an e-mail to the manager and no response. Great place, 100 meters from the Grand Place. It would help if the instructions to access the key are e-mailed earlier. I received an e-mail the morning of my arrival in Brussels but I could not see it in time as I was unable to access my e-mail. Fantastic location, a minutes walk from the main square. The apartment was beautiful! We really enjoyed our 2 night stay. 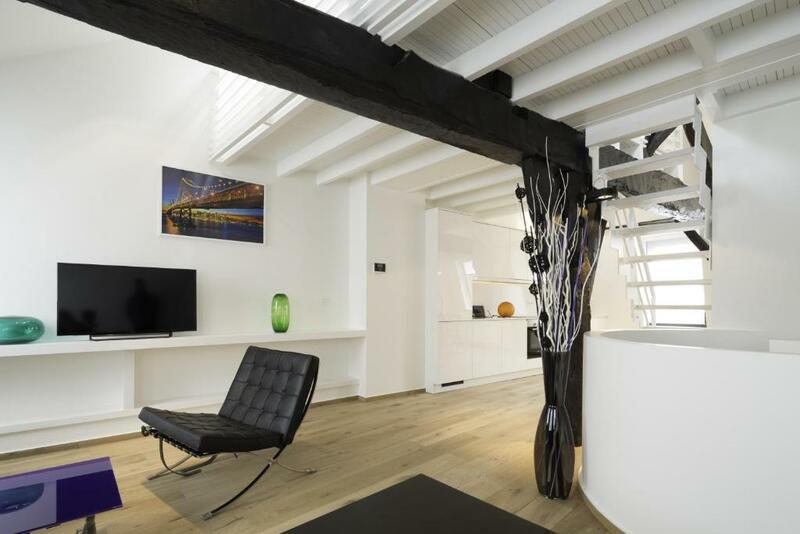 Wonderful Appartement,generous and spacious. great location quiet in main bedroom and only little noise in front bedroom.very clean and inviting. Would recommend and revisit. Simply put this apartment is in the best location in the city. It's a fantastic, spacious well equipped apartment in the heart of Brussels. Check in is simple and stress free via the Restaurant. The stairs really aren't as bad as others have made out (just remember to hit the light switch on your way up/down!) I can highly recommend this property. We were given apartment 2 and we were surprised to find so many items included with the room (loads of luxury coffee, dvds, salt & pepper, shampoo, baby wipes etc.) You will not regret choosing this Apartment. The best bar in Brussels "Au Brasseur" is only a few steps from the apartment door - it's that close you can even stay on the rooms wifi from the bar! I'll attach a few photos of the view from the apartment window. Grand Place is about a 30 second walk away. We will be back!